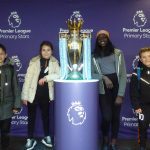 Working with our local Sports Partnership, four of our Year 6 children had the wonderful opportunity to see and hear about the famous hands who have touched the Premiership Trophy. 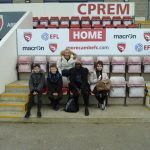 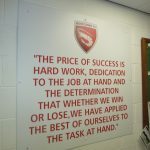 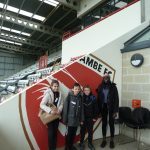 They went to the Globe Arena – Morecambe’s Football Ground – where they not only saw the trophy (guarded heavily by security) but also took part in drills on the pitch, had a tour of the stadium and met a professional referee. 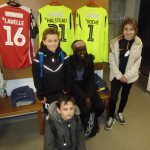 The children represented the school brilliantly and were selected for this trip for always demonstrating our school values – both in the classroom and and on the sports pitch.